All I can say is, “WOW”! This letter from Goerner to Gillespie on the topic of Earhart and Noonan on Gardner Island is priceless! And what a gentleman he was, refraining from speaking as if Gillespie was intentionally milking the import of what little (if anything) he had in hand as evidence for his unfounded theory. Goerner was obviously also a prognosticator. Thanks for this tasty bit of actual history, Mike! Well, we all know that Gillespie is a BS artist, second to none. He hit rock bottom on this last expedition, his website and membership dwell on trivia and call it “research”, and there is a severe drought with respect to contributions. Severe. All the ingredients for collapse. Now…he had mentioned a 2016 search for The White Bird. Diversion ? Feeble attempt to pass the hat around? Shift gears because his Niku Hypothesis is going no where fast ? All in all though, he’s made his fortune. On the backs of two dead aviators. Well said, Vernon, and quite succinct. Gardner is nonsense, any rational thinking person can see that, and you are right, White Bird -and anything else- are just him trying to divert the flock from his failure in the Summer, when the Go-Pro lowered down on a string failed to find the plane. We all know the expedition was incompetently planned, the inflatable wasn’t tested -or even unpacked- prior to the five days travelling to Niku, the ‘ROV’ was a joke with no backup plan -unless the Go-Pro on a string was the contingency. I got the impression from his daily updates that Ric’s heart wasn’t in it, that there was another reason for being there, turned out to be the greeting of a sightseeing ship -possibly a future new business venture for this ‘not-for-profit’. When that expedition was obviously becoming a bust, did you note how RIc started excusing the lack of evidence as being the product of passage of time and environmental conditions, such as weather? Comments about how these entities could destroy or hide evidence; not one word that the lack of evidence could be because she never got there. I think what sickens me most about this whole thing is that the two human beings involved both paid for starting this mystery with their lives, Earhart ‘mortgaged her future’, as she said, and neither made a buck from the World Flight, yet Ric has been making $100,000 to $200,000 a year from their deaths…that does not seem right to me. Your message is rather cryptic and incomprehensible to me, and I do have comprehension skills. Can you make it just a bit more understandable to the layman out here? I have a concern regarding your cognitive skills, too; my post was with respect to Gardner Island, do you consider Nikumaroro – over 300 miles from the Equator- close to the Equator? Lets see 300 miles to the equator, 12,200 miles to the south pole and 12,800 miles to the north pole. Yup Enrique 300 miles is pretty darn close, close enough that the water doesn’t spin in either direction when you flush the toilet, it just goes straight down. Have you been that close to the equator? I have, on many occasions. Mili, Maloelap and Majuro Atolls. Been going out there on and off for 15 years, on my own dime. Hot and miserable, all of them, in the summer months, none of them are vacation spots, neither is Niku. I’m not some butthurt fan of Ric Gillespie’s either. How 6th grade. I’ve met and verbally sparred with him on a few occasions. Been chatting with him on and off for 17 years. He has nothing of interest to say on the Earhart mystery anymore, never really did, IMO. Maybe we’re not comprehending each other, or the messages and replies are getting too confusing! I wonder why “The Polynesians from Niue” occupied Gardner? It looks like Niue is around 2,000 km from Gardner. Did they paddle their outriggers there? Apparently there was a body found on Gardner by the resident manager who sent it to Fiji, right? I think I have one of Henry Maude’s books on the islands. Wasn’t he the guy who told the story on his return to England about how he related to his supervisor back home his account of the conditions he encountered with the purpose of helping the next administrator to get acquainted? The supervisor supposedly stopped taking notes and when Maude asked him how come, he was told that if it were published, “No one would ever go there.” As I understand it, the Gilbertese are not Polynesians. I’m not sure what the British did about the overpopulation after the war. Evidently they shipped their Gardner colonists to the Solomons where they stay today. There must be lots of fascinating stories about the Pacific Islands. It’s amazing people are so taken in by the TIGHAR scam,they are now running close caption contests on their Facebook page with a picture of two seagulls because they’ve got nothing else to do after coming back from their vacation on Nikumaroro. I’d like to chime in my 2 bits on the Niku theory. We have Amelia Earhart, a country girl raised for her first 10 years in a railroad town and then in rural areas until her move to Chicago as a teenager and Freed Noonan, who ran away to sea at a young age, worked on tall ships, steamers and freighters learning both sea craft and navigation and working in this field until he started navigator duties aboard planes at some time in his life. In that era of life on this earth, we can assume that woodcraft and survival skills, at least the rudimentary skills, including how to get a fire going, would be learned from family and friends. So now we have these 2 supposedly crashed on Niku in the Pacific relying on those skills. 1. Although the castaway site has the remains of fires, no signal fire was lit on that island for any passing ships nor the National Geographic Eclipse expedition elsewhere in the Phoenix group to try and get anybody’s attention. 2. No SOS written in the sand above the high water mark, no palm fronds laid out in an SOS, no coconuts laid out in the same fashion! As a matter of fact nothing of any sort seen by the Navy search pilots. 3. The plane lands on the reef, gets pulled into deep water and then during the Bevington survey, he doesn’t note an engine with part of a wing and the landing gear sticking up out of shallow water. While I was on Taroa in 2001, I noted several aircraft engines in shallow water, sitting all alone! I asked the natives why there were only engines present, they told me that wave action broke the planes up in a few months after they were shot down and the wreckage pulled into the lagoon. These engines haven’t moved an inch since WORLD WAR 2. Ric fails to tell us how the plane could crash on a reef, float off and sink in deeper water and then mysteriously have the gear float back up, inverted, in shallow water. 4. On an island full of birds, coconut crabs and coconuts, Earhart and Noonan died of starvation? REALLY? That is so ludicrous that it should really be a comedy skit. I can tell you from my experience on Taroa that coconut crabs are slow, easy to catch and easy to kill with a COCONUT. They taste pretty good, just like coconut! The castaway camp has plenty of bird bones in it, which would mean somebody survived there for quite a while, most likely the survivors of the Norwich City. In an email several years ago, I asked Ric , why, on an island full of coconuts, would they starve in 2 weeks? His reply was, “maybe they didn’t know how to open them”. Well, there are plenty of newspaper photos of Amelia with none other than Duke Kahanamoku, starting with the Olympics back in the early 30s. During her pre Oahu-Oakland flight time in Hawaii in December of 1934 up to her departure, The Duke is paddling her around in a Hawaiian canoe, showing her how to slice a whole pineapple up and taking her to a COCONUT HUSKING DEMONSTRATION. Fred Noonan would have learned that craft as ships crew. Additionally, My first father-in-law, Joseph Keeler, was a Professor of Agriculture at the University of Hawaii for over 20 years. He studied the coconut at length and did a study and written paper on how long you could live on coconuts alone. The conclusion was, are you ready for this? OVER A YEAR. Coconuts are chock full of electrolytes and vitamins. 5. George Putnam, her stepson and I had a conversation over lunch at his home in 2012. He said she could fix anything, ( Including their car a few times on the side of the road) and that she carried her toolbox with her EVERYWHERE. He told me that he knew for a fact that it was on the plane with her when she left on her last flight, If she indeed did have it on board she had tools at her disposal to do a lot of survival work after she crashed. Who knows what remained on the Norwich City that she could have utilized. Niku rant now officially over! Thanks Woody, for taking the time to write this nice summary and interesting information about Amelia and Duke Kahanamoku. Always appreciate your knowledgeable comments. I do remember reading a few excerpts from a letter Maude wrote to Gillespie in either the ’80s or ’90s. Maude was not nearly as kind as Goerner in dismissing Gillespie’s fantasies. Was the letter, or parts of it, published here? Not yet, Fly, but Maude’s letter to Goerner is in Truth at Last, p. 385. After reading the Morgenthau transcript, I think the Navy and the FDR administration were exasperated and angry with Amelia for failing in her mission. And they must have been even more upset that the Electra, its engines and whatever electronics it contained had fallen in to Japanese hands. 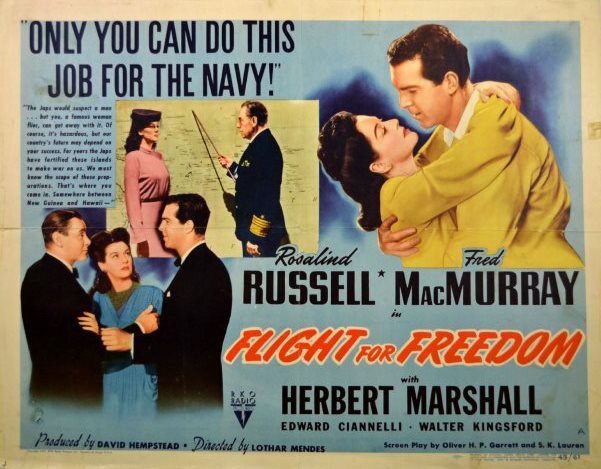 In short, I think there could very well be some truth in the “Flight for Freedom” script. HURRAY for *Fred Goerner who WARNED Ric Gillespie of his future follies. No man could speak more eloquently of Earhart studies & research and advocate *credit where it was due. As with *Mike Campbell, we owe this man a debt of *gratitude, *thanks, *appreciation & *praise for his unwavering quest in the *TRUTH of Amelia Earhart’s fate. These men have put Amelia Earhart & Fred Noonan above them themselves; shown us a moral right, that we should bare for the sake of two American hero’s that never came home. May the *TRUTH be Amelia’s gift, we shared with others. WOW, why so much ill will to Richard Gillespie? The guy is only trying to earn a living, ffs, he only earns 200,000 bucks a year -that’s not 50 bucks an hour on his 80 hour weeks- and $200k doesn’t buy a lot of equestrian supplies. I say let his record speak for itself, he is the principal of an historic aircraft recovery ‘non-profit’ that has recovered, in nearly thirty years, the nice round figure of 0 aircraft, historic or otherwise. What you got to say now, cynics? Ric is the at the forefront of science, of pseudo-science, he has no equal. I think the Facebook page is really good, I feel I know all the indigenous flora and fauna; I would suggest to Ric that he raise more sucker-money by having a naming competition, or even an ‘adopt a crab’ event, but he’s banned me from everywhere, perhaps someone can ask him on my behalf? There is more chance of that plane being on the north face of Everest than there is for it being on Gardner…but why can’t everyone see this? Their forum is troubling, people are actually feeding the lie, it is self-fulfilling, RIc hardly needs to do a thing these days, so I wonder what the spends his 80 Tighar hours-a-week on doing? BRAVO!!! I absolutely LOVE your style, Erique – as we say in TX, tell them how the cow ate the cabbage! Looking forward to more of your comments here! I must be to differ. When you ask how Gillespie’s MO is any different from “any Senator or Congressman,” you put him in very odious company indeed, as the great preponderance of Americans are sick of the endemic corruption of our elected officials, which has led to the current crisis in America. My attacks against Gillespie are aimed at his phony ideas, his false and completely misleading so-called “methodology” that has been exposed by many as BS, and the way our corrupt media constantly supports and promotes his nonsense. This blog is about the truth and nothing else. Since you seem to have a problem with that, Godspeed yourself. I assume that comments from followers on this blog are supposed to be about the topic. 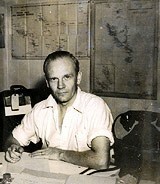 Which is the search for Earhart in general. Not one individual’s personal opinion of the blog owner. Your comment is a diatribe, so does your comment also pertain to you? An objective perspective of TIGHAR’s track record is at least disappointing if not outright ludicrous (but for the bilked investors). How wonderful that you voluntarily agree to disappear from here on out. I have to comment on your bringing US Congress members into your rant. I, for one natural-born US citizen, have been chagrined for a very long time now by the overwhelmingly pathetic quality of elected representatives and their efforts. Everything that was (is still?) tragically wrong about cliques and choosing teams in elementary school is the hallmark of US Congressional interactions and general behaviors. Pointing out that your example is no different than the behavior of one of our elected representatives calls into question your own exemplars of validity. Stick to the observable, accessible, vetted FACTS and EVIDENCE, Sir. Interesting that you should mention the records from Saipan. 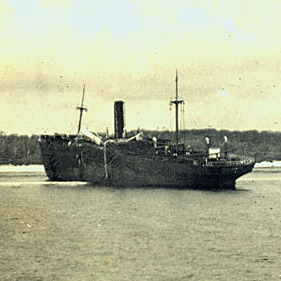 There were seven thousand pounds of records on Saipan that were returned to the Japanese government years after the war. They were never translated, having been left in the rain intentionally by Admiral Chuichi Nagumo. My interest would be in the Japanese Command Post bunker on Red Beach One that was Nagumo’s office. During the invasion, the Japanese locked and sealed the door from the inside. I read an article years ago about a young demo man being told to blast the door open. Being scared and nervous, he was told to put 3 sticks of dynamite on the door and blow it. He misunderstood and placed 33 sticks on it! When they detonated, the bunker collapsed. It has never been excavated. Fred Goerner located it during his trips there. Read your own post, you are whining for Ric, who IMO is nothing more than a snake oil salesman huckster. His theory doesn’t hold any water under scrutiny and by the way, I know him. Most of us are only interested in solving the mystery. Little of the Earhart community has made a dime (my expenditures over the last 17 years top $250K) during our years of research except Ric with his $150,000 a year salary from what is supposedly a non-profit. He has found NOTHING on Niku that can be conclusively linked to Earhart’s fate. Anybody can pick debris up on a deserted island and make the same empty conclusions. ??? and folks don’t complain about their politicians? Thou protesteth too much, sir; strikes me another RIc fan has been butthurt their cult leader has been found out. Apparently you can read but lack in comprehension skills. Does that read like someone who has comprehension and reading skills, or even an understanding of the English language? I’ll accept your criticism, as a student accepts guidance from the master, and you are obviously THE Sensei in the lack of comprehension skills. I was looking around on You Tube a couple days ago and found some testimonial from some AE afficionado (maybe Martini?) that he or they asked the Japanese for their records of their 11 or so prisons during WW2 and they gave him all the records except Saipan, I guess that means Garapan prison. When he asked how come, he said the Americans took all the records of Saipan and gave a few of them back, which obviously didn’t mention AE or FN. Is this account old news and I am just waking up to it? I got the impression that the Japanese stonewalled any investigators into their wartime prisoner records. Maybe not. As for the wreckage of WW2 planes sinking to the bottom and just lying there I’m sure that is true. But there is a subtle difference in Ric’s tale. Initially, if I follow his argument, he postulated the AE plane just sat on the reef till it broke up. So it should be, or parts of it should be, still on the reef where he looked for it. 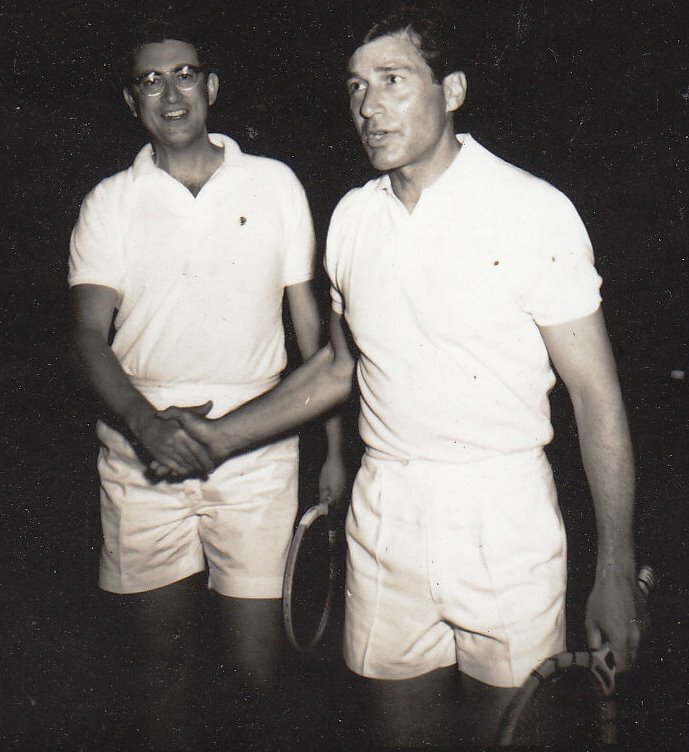 When I insisted on his forum that the plane with all its empty tanks would float, of course I was ridiculed by him. To me that is a difference, as those other warplanes I have read, would sink like a rock as soon as they hit the water. That gave him an idea, now he maintains that the plane might have floated away and then sank, which is why he is searching in deep water with his expensive equipment. I thought about that, it seems it would have taken water quite deep to float the plane off. And this didn’t happen. The tides on Gardner are only 2.5 feet and I never heard of any unusual tide, let alone a tidal wave in the 5 days or so till the US aviators came looking and didn’t see any plane. This is where, for me at least, I found his theory to be preposterous, and I moved on out of his forum. I was not very popular there, anyway. @David Atchason, this is the thing with Gillespie, he changes goals, standards and burden of evidence to suit his needs. He said she landed on the reef, people said “Where’s the plane”, he invented magical wave motion the threw it all off of the reef, save for a piece that Bevington photographed, then that bit magically disappeared. His story ‘grows’ all the time, not because he is fine tuning a hypothesis due to new evidence, but due to having to answer why there is no evidence. It is interesting to note he criticises other hypotheses that ‘grow’ due finding new evidence. Same as him and his forum Pitbull, the Father, continually insisting that ‘would’ve, should’ve and could’ve’ are not evidence and not worthy of discussion, despite the fact that Gardner is based on Earhart would’ve stayed on the last reported LOP, should’ve reached Gardner and could’ve landed and survived there. Would that be the expedition’s Go-Pro they lowered over the side as a Hail Mary? It is sickening that Ric is the only guy making a very good living out of this mystery, the last expedition was poorly funded, and struggled to get the required $350,000 -for the downsized mission- yet Ric only had to draw a very liveable $50,000 a year for the last three or so years, and Tighar would have already had the funds to do the mission. Fact is, IRS records show that the majority of TIghar’s fund-raising bucks go to paying Gillespie a very good wage/salary/compensation. Is that using donor contributions wisely? Nearly 30 years of 80 hour weeks and Tighar Ric has not one piece of incontrovertible evidence linking AE or FN to Gardner, not one piece. What ‘evidence’ they have you could have picked up from any island in the Pacific and make the same claim. No advance on the Niku hypothesis has been made, in fact the only thing RIc is doing, is prove more and more she never got to Nikumaroro…the only the hypothesis isn’t gaining, the mystery isn’t gaining, the only gain is RIc’s bank account and fodder for his horses. Ric is kind of the opposite of science, with science you try to prove a hypothesis wrong, if it still stands, then it is on good ground until the next test. Ric is doing the opposite, trying to prove he is right, but always showing he is wrong, but he ignores the logical conclusion, that AE and FN never stepped foot on Gardner. I wouldn’t give a nickel, to a lying, Gillespie TALE; in which eggs can talk & bones could sing. For his FALSE choppers eat the ship’s provisions and his thirst drinks the ocean dry. You’re not a fan then? The trouble is, Tighar hasn’t had enough time nor cash to fully fund and prove its hypothesis, it’s only had a few million to buy horses and stables, erm, I mean to fund research, and Tighar is good value for money, I mean, it’s got some turtle bones, some broken glass, a shoe heel and a bit of scrap aluminum…that’s a bargain for just a few million, think what they could do with say 50 million bucks? 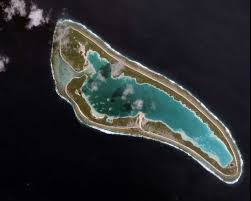 The problem now is funding, the evidence found so far has some sceptics saying that any of it could be found on any other pacific island, and that none of it is incontrovertibly linked to Earhart or Noonan, all Tighar needs is about a billion dollars to prove AE landed on Nikumaroro. Don’t blame Tighar for expense, they already know the truth, blame the sceptics and cynics for not believing the obvious, the principal figure at Tighar is THE self-confessed expert on all things Earhart, if he says Earhart was really a shaved Bigfoot in an overall, then she was, if he says she was the Dalai Lama she was, so if he says she landed on Gardner, who do sceptics think they are to no believe him? Think about it, do you want this mystery solved? Then join the literary guild at Tighar, donate as much or as little as you can, five bucks is good, a billion is even better, have a yard sale, sell a kidney, sell a kid, sell someone else’s kid, let’s make this happen!!! Don’t forget, each donation entitles you to a title commensurate to your donation, 250 bucks makes you a kool-aid researcher (with a nifty crossed turtle bones on a coconut crab motif lapel pin), 500 bucks makes you a Grand Poobah kool-aid researcher (with a really neat 1/1000th scale lapel pin of the Magic Scrap) and $200,000 a year makes you a director -oh, my bad, $200,000 compensation FROM TIghar makes you a director. GRAND POOBAH?! I want to be the GREAT GOZAMISS!! !